A social media platform needs a support system, a set of pillars that stabilizes and suspends the infrastructure. Attempting to build a platform before its supports are in place isn’t practical or sustainable. Take things logically and in order, and you’ll do yourself a tremendous favor. The first pillar in platform building is that infamous c-word, commitment. Tap into your passion to find the strength of mind and sheer grit to see you through. Decide now to ignore self-doubt and believe in yourself. Determine that no matter what, you’ll invest your time and talent so you can thrive and survive in the competitive world of publishing. The second pillar in platform building, self-discipline, is just as difficult and necessary as the first. No one is going to force you to spend time on building a social media platform. If you cut corners, you only cheat yourself. In this series you’ll learn ways to work with social media more efficiently, but learning anything new always starts with an investment of time. The good news is that you can tailor your social media platform to fit within your time constraints. But remaining constant is important, and that takes self-discipline. The third pillar in platform building is developing and adhering to a plan. Thinking through the sites you will use, how often to update them, and who you will interact with helps you make better use of that non-renewable and precious commodity, time. A good rule of thumb is to devote only 20% of your time to promotion. Platform building should be a large part of your promotional effort. As an example, 20% of a 40-hour work week is the equivalent of an eight-hour day. If you have less hours than that for writing, do the math to find how much time to devote to promotion, and then determine what proportion of that will be spent on platform-building. That will look different for a novelist divided between book promotion and platform management than it will for a writer just starting to learn craft. Once you’ve sorted out how much time to allot, determine how long to work on your social media platform and then follow through. The fourth pillar in platform building is identifying your support network. As John Dunne famously pointed out, no man is an island, sufficient unto himself. Each of us needs the encouragement of others. If you have the support of your family, you are indeed blessed. But even if it takes your family a while to understand your efforts, other writers already do. Seek them out online or locally and support them as they support you. Church is a great place to find prayer warriors who will encourage and pray for you as a writer. Unless its pillars are strong, a structure can come crashing down. 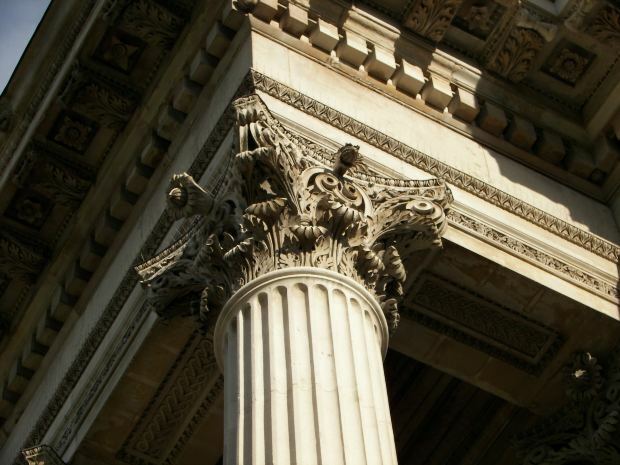 Make sure these four vital pillars are ready and able to serve the platform you plan to build. We’ve laid the foundation of this series by looking at the spiritual, emotional, and mundane aspects of platform building. With next month’s post we’ll begin analyzing social media sites from a writer’s perspective. This entry was posted in Marketing and Promotion, Social Media and tagged Janalyn Voigt, platform, social media marketing, social media platform, social networking, social platform by Janalyn Voigt. Bookmark the permalink. You spell out the basics for a social media presence and don’t beat around the bush. Any writer who thinks they can work without these essentials is fooling themselves. I’ve fooled myself plenty of times because I didn’t seriously devote (divide) my time appropriately in these four areas. Nor did I ask people to pray for me. Now, I’ve written over two hundred pages of a fantasy novel and wonder what my next step should be. I should follow your steps and send a book proposal to a publisher I’m familiar with. Thanks for your keen insight and willingness to tell it like it is. Thank you, John, for sharing your experience. Fantasy is a hard sell but the market seems to be softening a bit. If you’re familiar with a publisher, that’s a great starting point. Some agents also accept fantasy submissions, but it’s not usually first priority. Another possibility is to look at a small imprint of a larger publisher, as I did. When I was an unpublished fantasy novelist I heard the recommendation time and again from established Christian fantasy novelists to submit to the secular market. I would have done that but my heart’s desire was to go with a Christian publisher and a Christian agent. I’ve found both. If I were you right now I’d spend time in prayer, and then follow God’s leading. Doing that is the real reason I’m published at all. This post was fantastic! I like how you referred to a platform supported by pillars. The support system doesn’t include two-by-fours or posts, but secure anchors. Thank you, too, for suggesting to spend 20% on promotion (including platform building). The other 80% of a writer’s time can be devoted to the craft of writing. That way, plenty time will be invested towards the actual product…perhaps a novel.